The Ford Expedition is a large SUV manufactured by Ford Motor Company and marketed as a vehicle capable of off-road excursions. Unfortunately, like many other SUVs, the Ford Expedition has been known to have a higher rate of rollover accidents than regular vehicles. Although Ford Motor Company has been aware of the lower safety rating of the Expedition, this increased risk of a Ford Expedition rollover accident remains a danger for motorists who drive this vehicle. Since the Ford Expedition was first introduced to consumers in 1997, there have been a number of model changes. These changes are especially noticeable with the introduction of each new generation of the Ford Expedition. Specifically, over the last fifteen years, there have been three generations of the Ford Expedition. The first generation of Ford Expeditions was designed to replace the two-door Ford Bronco and give drivers better off-road capability. With its underbody skid protection, heavy duty trailer towing capabilities, part-time and full-time four wheel drive, and heavy duty rear-limited slip differential, the first generation of Ford Expedition made it easier for motorists to tow heavier objects and perform well when driving off road. Initially, only a two airbag system was placed within these vehicles, giving it a much lower safety rating in its early years. However, Ford introduced an optional four airbag system near the end of the first generation that helped improve this rating. Unfortunately, these vehicles still performed poorly when it came to rollover safety. The second generation was introduced with the 2003 model and included a number of changes. Some major differences in the vehicles of this generation were the four wheel independent suspension system, a higher towing ability, new systems for steering, braking, and electronics, redesigned V8 engines, and cosmetic designs both on the outside and inside of the vehicle. Additionally, a few new safety features were added, such as a roll stability control, which improved the safety ratings of certain year models. However, this generation of vehicles still presented a rollover risk for those who drove them. In 2007, the third generation of Ford Expeditions was introduced and included a variety of updates to the second generation, largely mechanical in nature. This generation of vehicles included several safety improvements and changes, such as a six airbag supplementary restraint system, side intrusion door beams, roll stability control, and emergency brake assist. Similar to previous generation vehicles however, this generation of Ford Expeditions remains a danger for drivers, as it has an increased risk of rolling over when compared to smaller sedans. 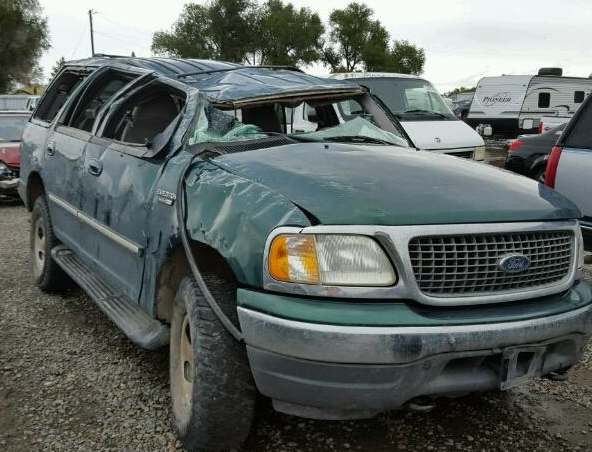 Because of these safety defects and inherent risks, Ford Expeditions and SUVs like it are the cause of nearly 8,000 deaths per year, many of them due to rollovers. If you or someone you love was injured or killed in a Ford Expedition rollover accident, contact the Willis Law Firm today at 800-883-9858.